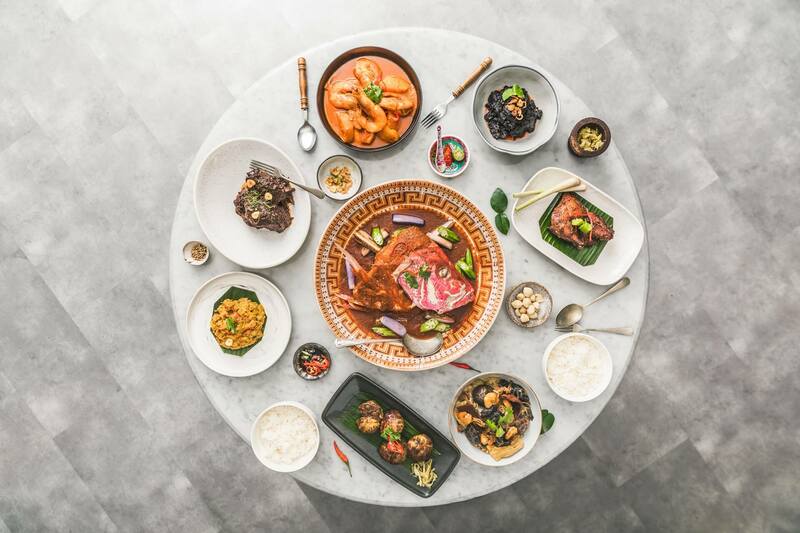 Celebrating tales of Singapore's heritage through food, Folklore presents a menu of nostalgic heirloom dishes reflective of the major racial cuisines of Singapore. At its helm, local chef Damian D'Silva shares his passion for preserving artisanal cooking methods of a bygone era and the joys of enjoying food as a shared gift to all peoples and cultures. Entertaining a larger group or planning an event for friends, family or colleagues? Just let us know your requirements and we will work out the details for you. Alternatively, opt for a cosier setting for your lunch or dinner event and choose to reserve Folklore's private dining area* which seats up to 30 guests. Click here to send us an enquiry today. *Reservation of private dining area requires a minimum of 20 confirmed guests. For smaller groups, please note that a surcharge may apply. Folklore celebrates Singapore heritage food and the role it plays in cultural harmony in our multi-ethnic nation. Brainchild of Chef Damian D’Silva, the menu constitutes a nostalgic homage to the food he grew up with as a child of Eurasian-Peranakan parentage. Heirloom dishes reflective of the major racial cuisines of Singapore are made from scratch, without shortcut or compromise, using authentic - largely manual - kitchen methods. The experience is of being a guest at Chef Damian’s family dinners around the table. Something delicious always awaits you at Folklore. Available from Monday to Friday, come tantalise your tastebuds with our latest lunch sets. Priced at just $15nett, each lunch set includes a main and drink. Choice of Mains STREET RICE A lost hawker dish that offers roasted meat, shredded chicken, Chinese sausage on steamed rice and topped with chicken broth. PERANAKAN YONG TAU FOO Served in a rich, fragrant coconut-based gravy with your choice of steamed rice or noodles and complete with Chef Damian’s homemade sambal.